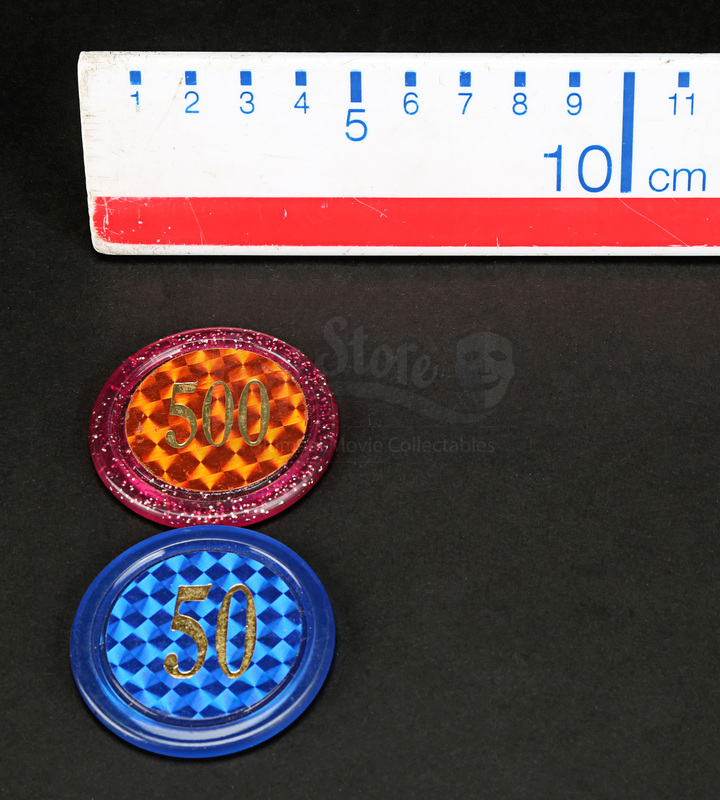 Two Maidenhead bar poker chips from Joss Whedon’s 2005 sci-fi action film Serenity. Pursued by the Alliance and the merciless Operative (Chiwetel Ejiofor) and with everyone they know being killed, Captain Mal Reynolds (Nathan Fillion) and his crew must protect assassination target River Tam (Summer Glau) and confront a dark secret from the Alliance’s past. 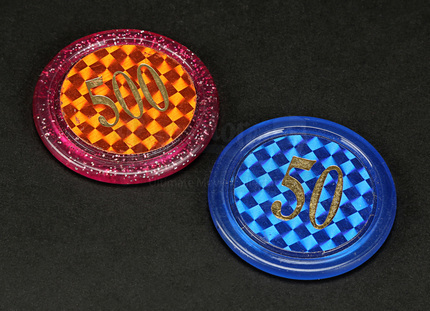 Gambling chips were used by patrons of the Maidenhead Bar to bet with during River’s (Summer Glau) breakdown scene. 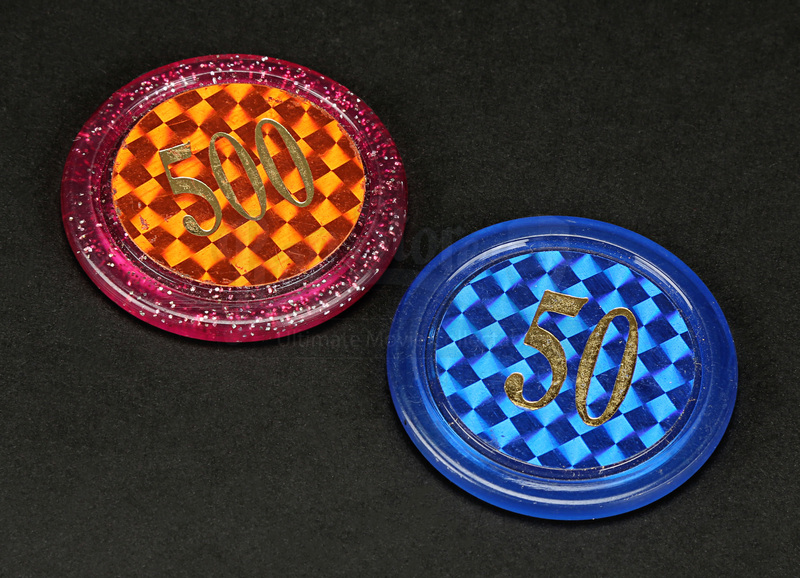 The two circular shaped chips are made from plastic with holographic stickers applied in the middle with the numbers ‘50’ and ‘500’ printed in faux-gold representing the value of the chip. One chip is blue and the other is pink with silver coloured glitter within the plastic. The chips display minor marks and scratches on the sticker part from use on production, but remains in overall excellent condition.